I have thoroughly enjoyed my BioSmart® Heater. It has been wonderful and very inexpensive to operate. It is everything I was told it was. 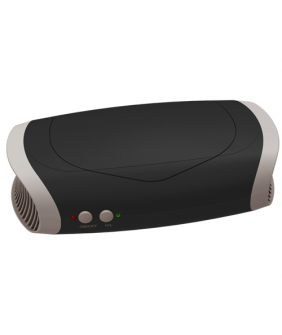 I am completely satisfied with my BioSmart® Heater… My wife has M.S. and is confined to a wheel chair. After having used it for our heat this past winter, I have every confidence in the safety of this unit for her concerns. I believe it may well be one of the best purchases I can recall. I was extremely pleased with the sales people, and the ease with which the heater operates. I simply couldn’t ask for anything better. We purchased our first CZ Infrared™ 1500 watt heater last February for our new home. We really felt that it made a difference in our heating energy expenditure. We are thrilled. My brother-in-law bought two and he is looking to buy another. I just ordered another one for my son as a Christmas gift! Our two BioSmart® Heaters have proven to be a large help in cutting heating costs here in South Missouri. These two heaters have never given us any trouble, which we can’t say about other brands. My BioSmart® Heater has been a hit in my house. Finally been “comfy”, even with this cold, endless Chicago winter. We recently purchased three BioSmart® Heaters for our home in Pennsylvania. We noticed that our little poodle, CiCi, would head right upstairs every time she came in from outside. We thought you might be interested in knowing how satisfied we are with our BioSmart® Heaters, not only because they keep our two-story home toasty warm in chilly Pennsylvania, but also keeps CiCi comfy. One of the features we appreciate in our BioSmart® Heater is that we can program it the night before. It comes on automatically the following morning, pretty neat! I checked out other brands of infrared heaters and decided on BioSmart® Heaters because they are built better, the elements last a lot longer, and they run very quiet. Our propane heat cost $500 a month, we have 2 BioSmart® Heaters running and the cost is $186 a month. This is just the heater not all the other things operating. In just a little over 2 months the heaters will pay for themselves. The BioSmart® Compact Air Filtration system combines a patented 5-stage system into one small compact unit. Never before has such a complete system been available in a portable model at such an affordable price. Perfect for vehicles or smaller rooms. Perfect for those smoggy traffic jammed commutes or any time air quality is of concern. Comes with a wall plug adapter for use in smaller rooms. Compact design with DC adapter that fits into the cigarette lighter of your car. HEPA FILTER: 99.97 effective in trapping extremely tiny particles (as small as 0.1 microns) and removing smoke, pollen, dust, pet dander, dust mites, and allergens from the air. Ultraviolet Lamp: Helps to kill many types of germs, viruses, fungus and bacteria. Photo-catalyst filters: Work to break down volatile organic compounds (VOC’s) and other noxious fumes and pollutants. Activated Carbon Filter: Eliminates odors and noxious fumes. Built-in Ionizer: Provides more than 3,000,000 ions per cubic cm to refresh and revitalize the air you breathe. Refillable Fragrance Compartment: Allows you to add your favorite essential oil or other scents to your car. Plugs into a 12 volt DC outlet (cigarette lighter in your car). Also comes with a wall adapter that plugs into an ordinary wall outlet. One year from date of purchase from all Manufacturer defects on materials and workmanship.